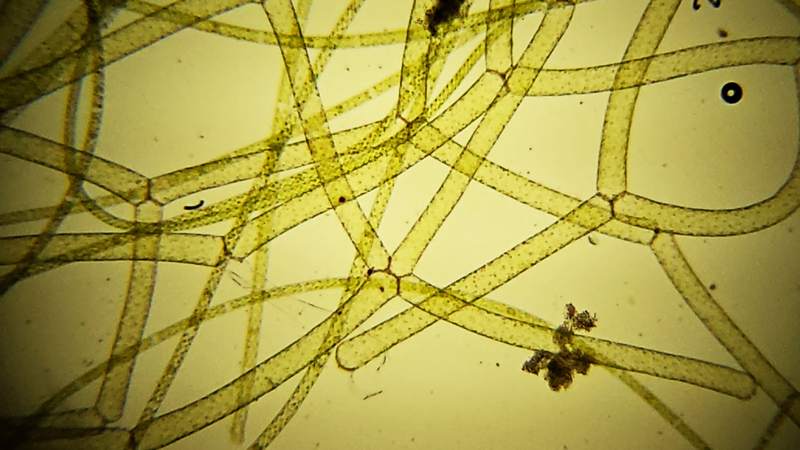 This pretty alga, commonly known as “Water Net” has a worldwide distribution. This particular specimen came from the Somenos boat ramp, though it is found in other sites locally. It has apparently been introduced into New Zealand, where it has become something of a nuisance, though its numbers have recently been dropping for uncertain reasons (see Wells et al.). Its cell wall is quite pretty under polarized light. 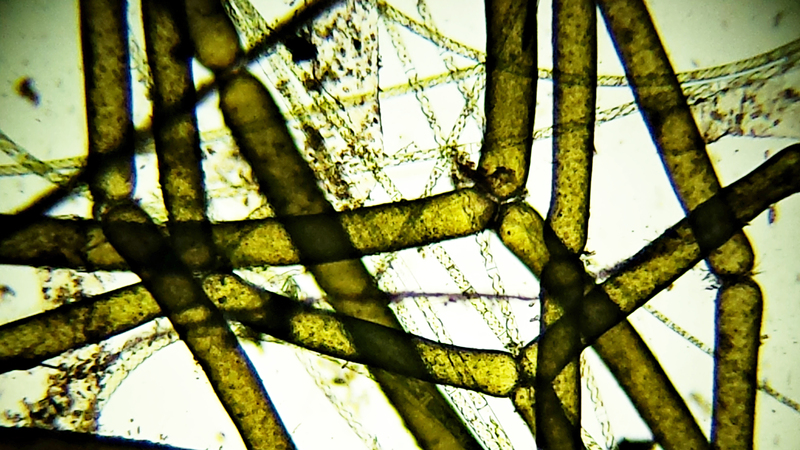 One can see from the first image that it is quite a bit bigger than Spirogyra, which, despite its beautiful microscopic appearance, looks like an unattractive, slimy mass grossly. 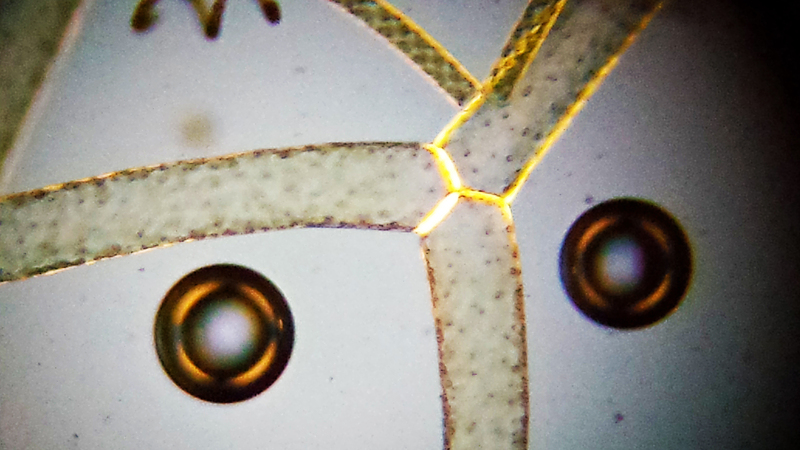 The net-shaped growth pattern of Hydrodictyon can be seen clearly with the naked eye. 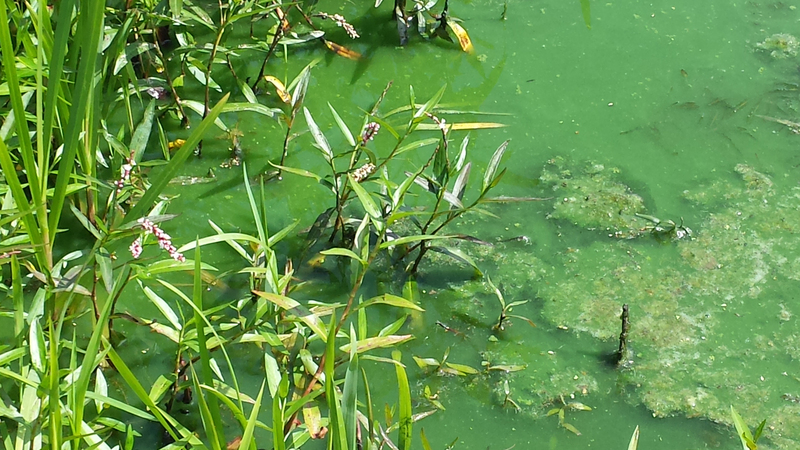 It is fairly readily found in lake margins locally, especially Somenos Lake.